This is a clickbait title. I am aware of it. But I am curiously navigating the answer to this question, which is part of the reason why I’m posing it to you, too. Two Door Cinema Club is back. Yes, they have returned. After more than three years, one of the greatest indie rock heavyweights of modern times has reemerged into the ether, bringing with them a rejuvenated sense of promise for indie music in the upcoming year. The group has just announced a forthcoming album, to be released in October of this year, and released an accompanying single on June 14th, “Are We Ready? (Wreck),” an upbeat, perceptive tune that stays true to Two Door Cinema Club’s trademark sound. But let’s backtrack a bit: Two Door Cinema Club is an indie rock powerhouse hailing from Northern Ireland who ruled much of their respective scene throughout the early 2010s. And for good reason, too: the group’s addicting, catchy, and meticulously crafted tunes felt organic and true in their sound and style, while maintaining an accessibility that allowed for them to reach more expansive and diverse audiences. Their effervescent instrumentals were often paired with cognizant lyricism, thus making Two Door Cinema Club both palatable and pertinent even for the most casual of listeners. Two Door Cinema Club is the type of band one would listen to while wistfully contemplating the possibilities of the future as they sit on a train inbound for the big city. The band has continuously created tunes that make one feel ultimately self-aware and mindful of life itself, in some form or another. There is inherent meaning beyond simply just the shimmering instrumentals and Alex Trimble’s throaty vocals. That meaning, ultimately, is what has made Two Door Cinema Club maintain semblances of significance within the indie rock genre and alternative music scene. Similar to indie rock juggernauts – and Two Door Cinema Club contemporaries – Vampire Weekend, Phoenix, and Passion Pit, Two Door Cinema Club has managed to find a retained relevancy thanks heavily to alt stations always keeping a song or two on regular rotation. The band’s exuberant, made-for-American-Eagle-shop-playlists sound has been able to transcend the time in which it was initially released, and even after a nearly four-year hiatus (the group released a lesser-known EP entitled Changing of the Seasons in 2013 and achieved some success with the eponymous leading single, but never put out a full-length LP following 2012’s Beacon) the group has still succeeded in even the most minimal of recognition within indie and alternative circles. 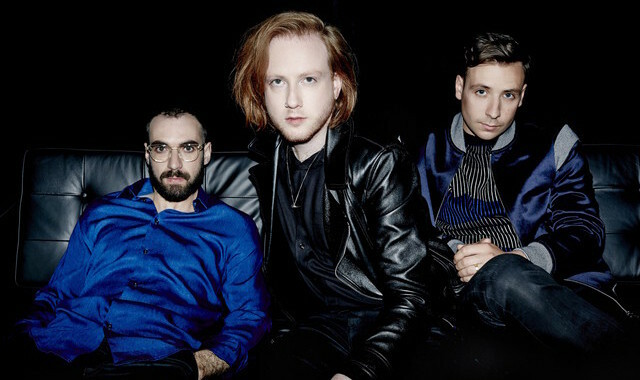 Two Door Cinema Club is already somewhat recognizable, yes. Does that mean that they can just jump right back to where they were? That’s to be determined. The band told Annie Mac for BBC Radio 1 that they’ve reembraced anonymity, playing in local pubs where they had their start and doing festivals around Latin America where they were much lesser known. It feels difficult to confidently judge whether or not Two Door Cinema Club will be successful again. Bands like Radiohead, Blink-182, and U2 have all done similar hiatuses, though for not nearly as long. Also, Two Door Cinema Club isn’t necessarily the same caliber as those bands. With those bands, they could literally disappear from thin air (looking at you, Radiohead), then reappear and put an album in everyone’s iTunes library (looking at you, U2), and nobody would really bat an eye. Those bands will still sell records. Those bands will still sell out arenas. Those bands will still be relevant. Can an indie rock group from Northern Ireland who achieved decent success from 2010-2012 still sell records and stay relevant? Does it matter that a band that was once so well loved and highly acclaimed within their circle is now, more or less, starting from scratch? Four years is quite some time to be away, and most bands only reconnect after that long just simply for a reunion tour. Two Door Cinema Club wants to do much more than just reunite – they want to reemerge. They want to make their triumphant return perhaps not as boldly as they can, but certainly as optimistically as they can.